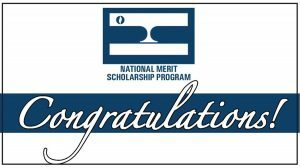 Three Orono High School students have been designated as semifinalists in the 2019 National Merit Scholarship Program. An additional nine OHS students achieved commended status. 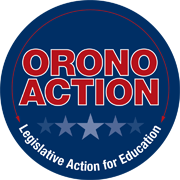 All of the students will be honored by the Orono School Board at its meeting Monday, November 12. The semifinalists are: Jordan Case, daughter of Chris and Carrie Case, Long Lake; Jacob Muth, son of William and Rita Muth, Maple Plain; and McKenzie Pearson, daughter of Craig and Lisa Pearson, Wayzata. 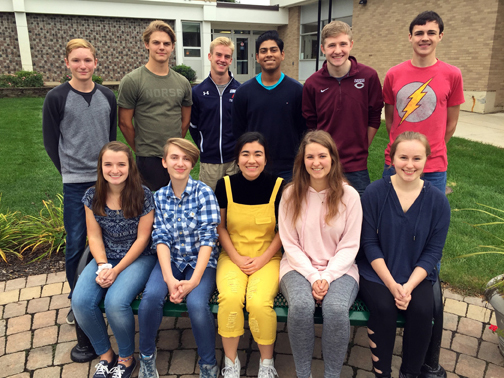 The commended students are Samuel Cook, Katherine Dore, Anders Gulbrandson, Wyatt Jones, Peter Kasner, Karthik Papisetty, Caden Pfeiffer, Annika Sorenson and Carianna Spencer. About 1.6 million students in more than 22,000 high schools entered this year’s competition by taking the Preliminary Scholastic Aptitude Test/National Merit Scholarship Qualifying Test as juniors. The nationwide pool of semifinalists represents less than 1 percent of high school seniors in the United States. Some 34,000 commended students throughout the nation are being recognized for their exceptional academic promise. Although they will not continue in the 2019 competition, commended students placed among the top 50,000 of students taking the qualifying exam. About 90 percent of the 16,000 semifinalists are expected to become finalists and will be eligible to compete for some 7,500 scholarships worth $31 million. To become a finalist, a semifinalist must have an outstanding academic record throughout high school, be endorsed and recommended by a high school official, write an essay and earn SAT scores that confirm earlier test performance. 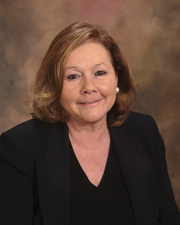 Participation in school and community activities, demonstrated leadership abilities, employment, and honors and awards received are also considered. Three types of awards will be offered in 2019. Every finalist will compete for one of 2,500 National Merit $2,500 scholarships to be awarded on a state representational basis. In addition, some 230 corporations and business organizations will underwrite about 1,000 corporate-sponsored scholarships for finalists who meet their specified criteria. About 180 colleges and universities will finance some 4,000 awards for finalists who will attend the sponsor institution. Merit Scholarship winners will be announced in four announcements between April and July. These recipients will join more than 338,000 other distinguished young people who have earned the Merit Scholar title. Orono High School students recognized by the National Merit Scholarship Corporation are, from left: front row – Jordan Case (semifinalist), Katherine Dore, Carianna Spencer, McKenzie Pearson (semifinalist) and Annika Sorenson. Back row – Wyatt Jones, Anders Gulbrandson, Caden Pfeiffer, Karthik Papisetty, Peter Kasner and Jacob Muth (semifinalist). Sam Cook is not pictured.